Candice always had frizzy/curly hair which was highlighted on a regular basis. 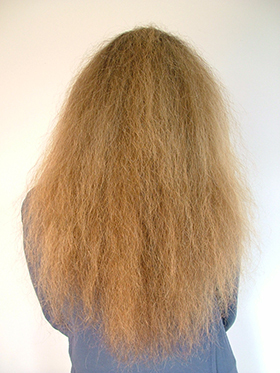 It was always difficult to manage prior to the keratin treatment. 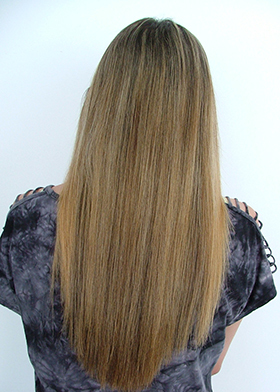 This shot shows Candice's hair one month after the keratin treatment. It has been blow dried but not straightened. She now has a keratin treatment every 4-6 months and uses the Straightout Keratin Shampoo & Conditioner to maintain her hair.